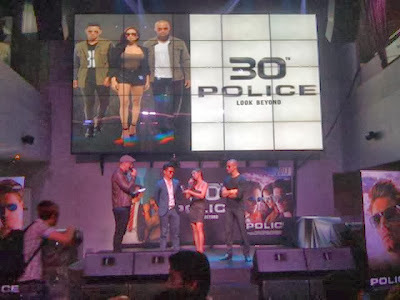 To celebrate their 30th year milestone, the Italian lifestyle brand Police ambassadors: Actress Roxanne Barcelo, actor Will Devaughn and fashion blogger David Guison were introduced in their November 12 event held at K-Pub, The Fort Strip, Taguig. 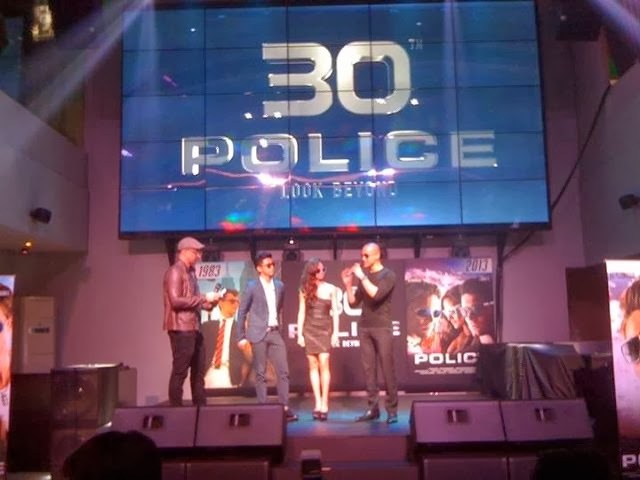 "For 30 years, Police has maintained its tradition of producing trendy, high-quality eyewear and accessories. 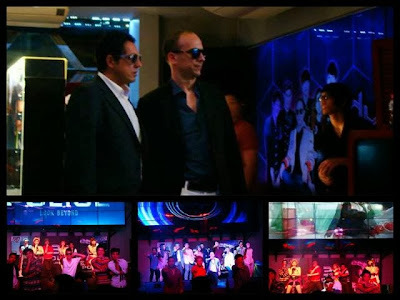 For its anniversary, we continue this tradition by introducing a brand new line that evokes style and attitude, two qualities that can be found in all of our products," Police Brand Manager Stefano Bozzo said. Police was founded in 1983. And in 3 decades, Police has made a name for itself in providing cutting edge eyewear such as iconic blue tinted mirror sunglasses which was a great hit in 1993. It expanded its lifestyle essentials to include a roster of watches, jewelry, leather goods, perfumes and apparel. In its usual trend-setting innovations, Police now introduces its K-Pop line for eyewear. The Police K-Pop line updates the best-selling look with new colored lenses while adding a sophisticated look and feel. "This year and for the last 30 years, Police has been committed in producing eyewear that isn't just an accessory, but a lifestyle essential that transforms a person's look and enhances facial features while protecting the eyes. It is through cutting edge eyewear that Policehelps individuals showcae their unique style, regardless of personality or taste,' concluded Bozzo.